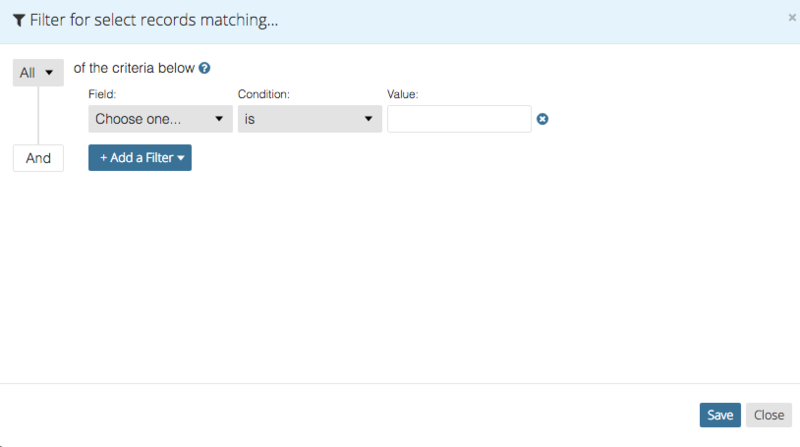 Our Bulk Edit plugin allows you to update one field on up to 200 records at a time. It is the pencil/paper icon accessed from the navigation panel. Select the form whose records you would like to edit from the dropdown. You will be brought to the filter panel. Set your filter in order to narrow down your results to the records you would like to edit. Here, I want to edit everything edited in 2017. All records that fall into that filter will appear. Check off the ones you wish to edit or bulk select by clicking the checkbox in the top left. Once records are selected, utilize the dropdowns about the record grid to select which field you would like to change, and to what value. 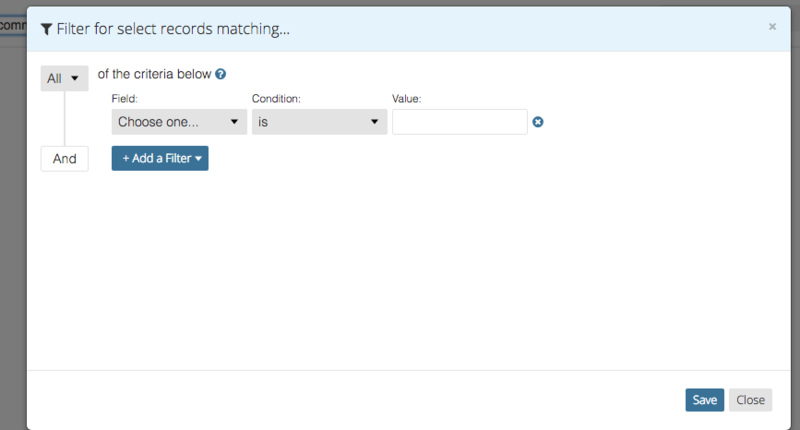 Our bulk delete plugin lets you select up to 100 records at a time in one form and delete them in bulk. If you have more records to delete, you can run this plugin multiple times. It is accessed from the navigation panel and is a trashcan icon. From the dropdown, choose the form from which you would like to delete records. Once selected, you will be brought to a filter screen. For example, if you want to delete all drafts, you would set the field Folder to equal Draft. Everything that falls into your filter will then appear once you save the filter. You can bulk select them all from the top left corner checkbox or you can manually select which records you would like to delete. When you are ready, click the red 'Delete Selected Records' button.